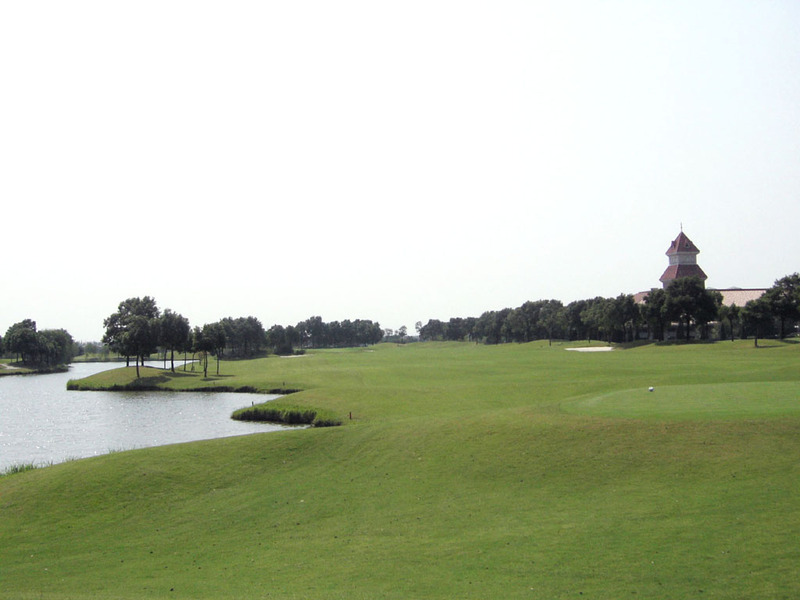 # I estimated the course layout and difficulty level as if I had played from the longest tees. In fact I actually played from the blue tees about 450 yards shorter than the longest tees. 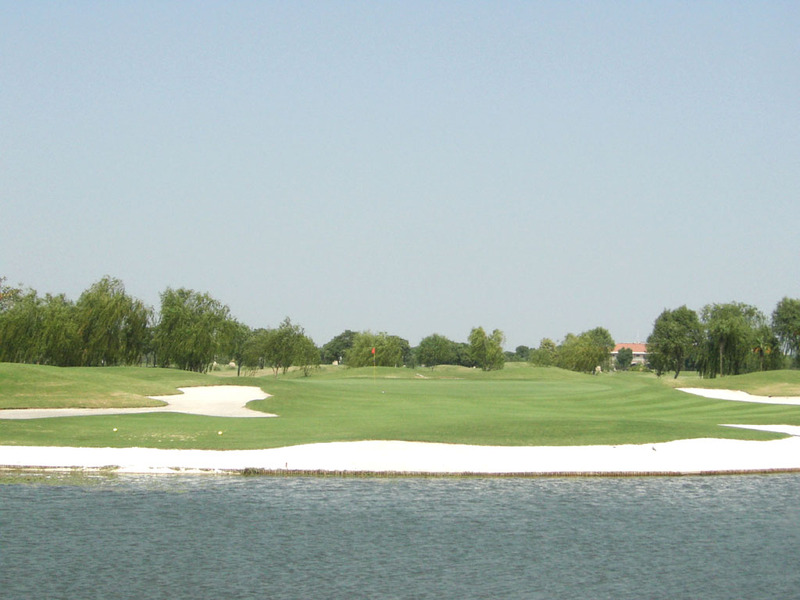 This is a strategic course with natural lakes, rivers and creeks on a flat terrain. 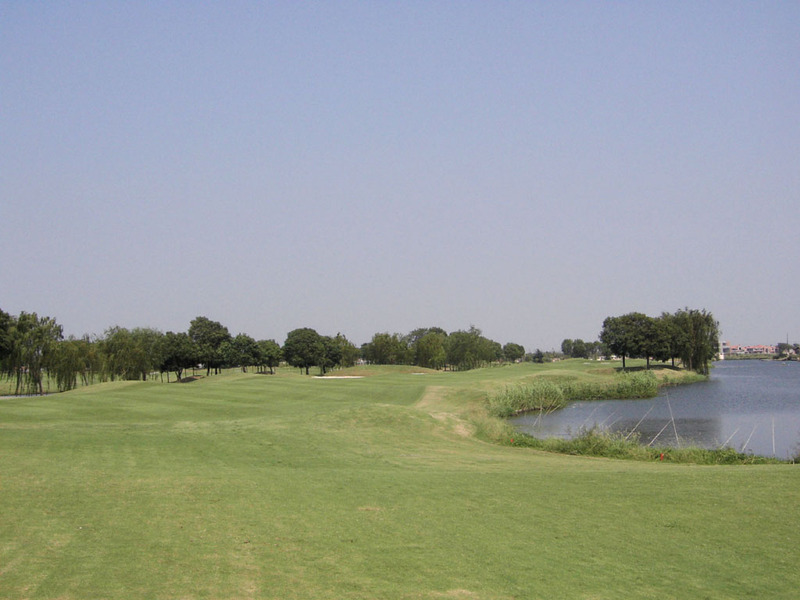 There are many holes that have water hazards on both sides. 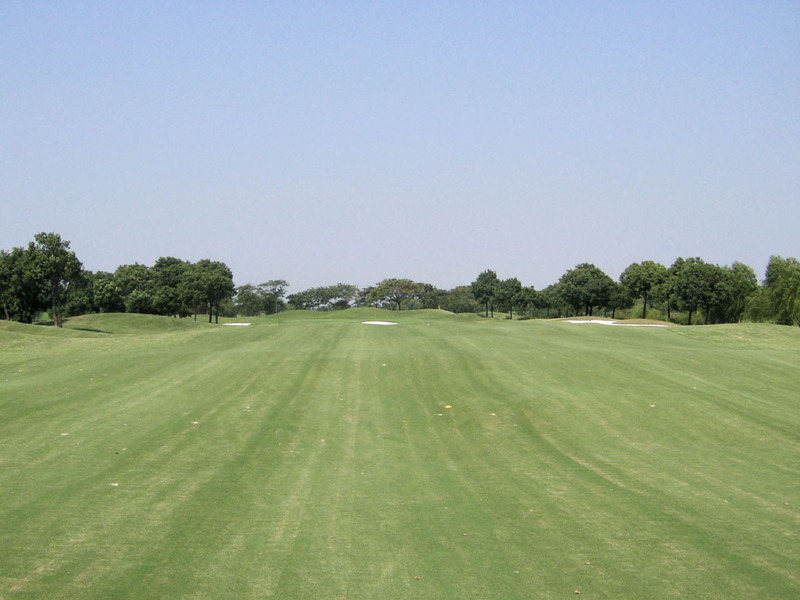 The fairways are slightly undulated, which helps to bring some changes into the flat course. 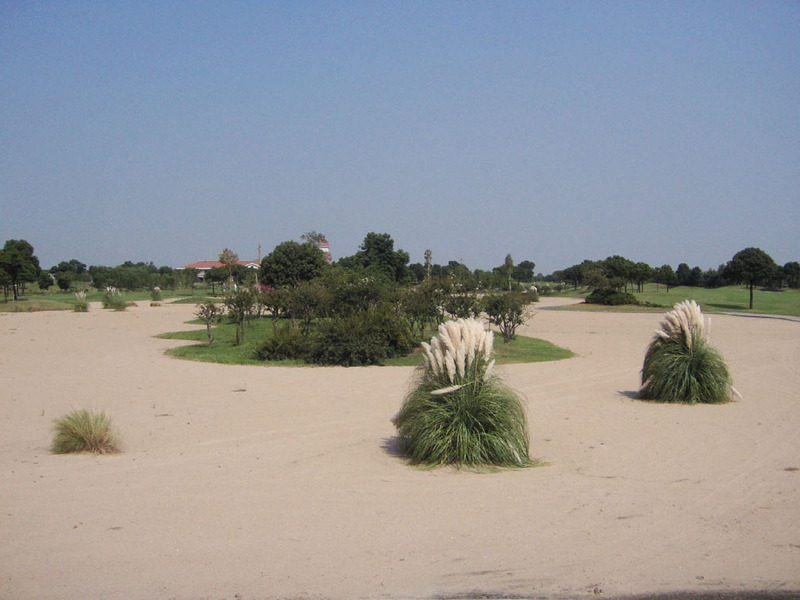 There were three 9 holes, West, Center and East when I played and another North Course was under construction . 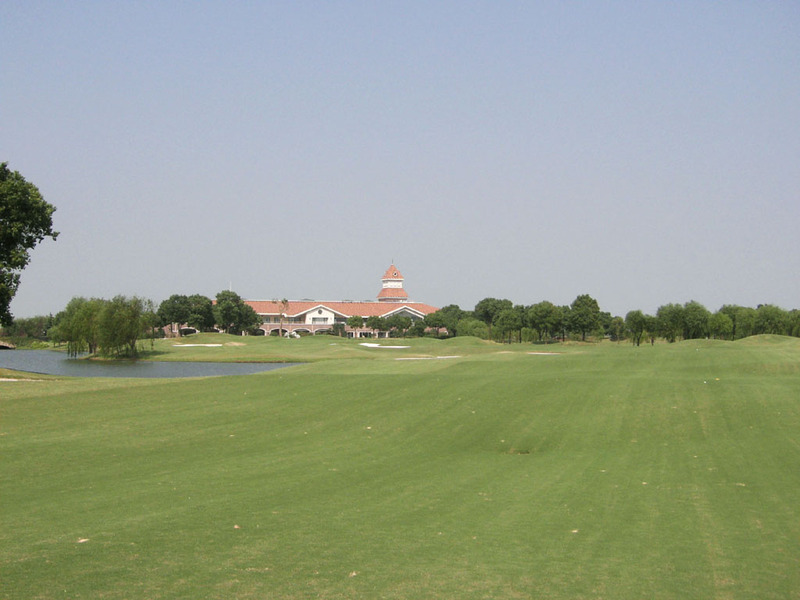 It should be a 36-hole golf club now since North was due to be completed in 2006. 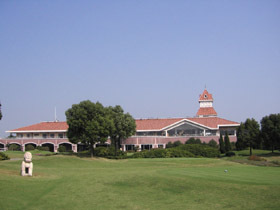 The 2005 Volvo China Open, an European PGA tour, was hosted with the West Course which is long enough to be over 3600 yards and the 3450-yard long Center Course. I played East & Center this time. 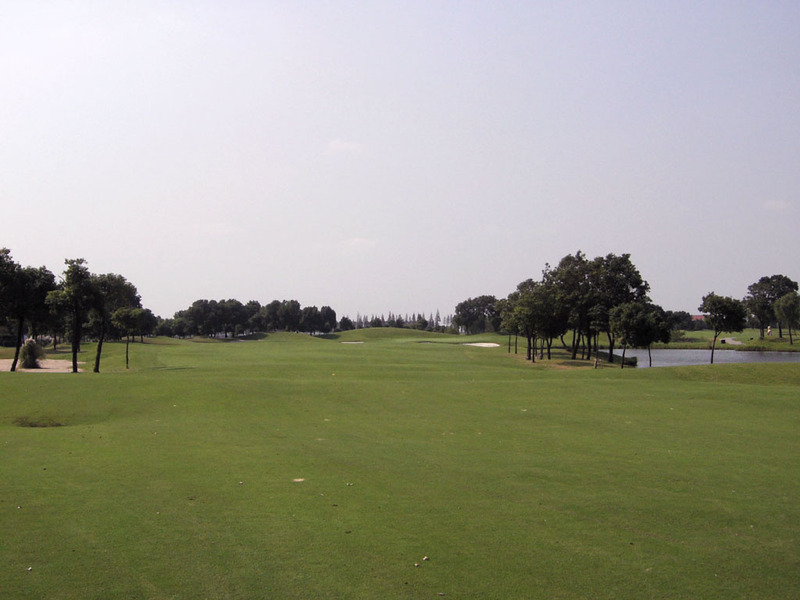 The East is only 3280 yards long but it was much more fun to play at East than at Center because The East holes vary more dynamically and are more sophisticated layout than the Center ones. 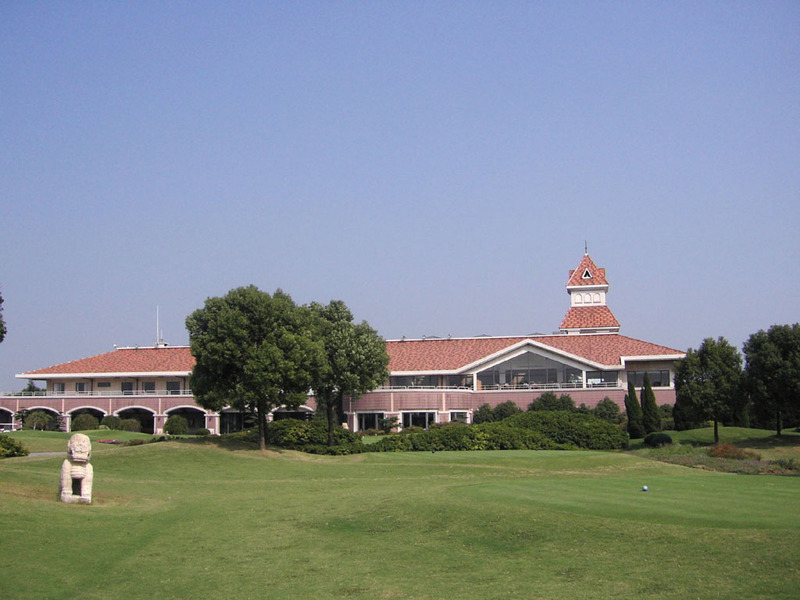 I hope that I will have an opportunity to play the West Course in a future. 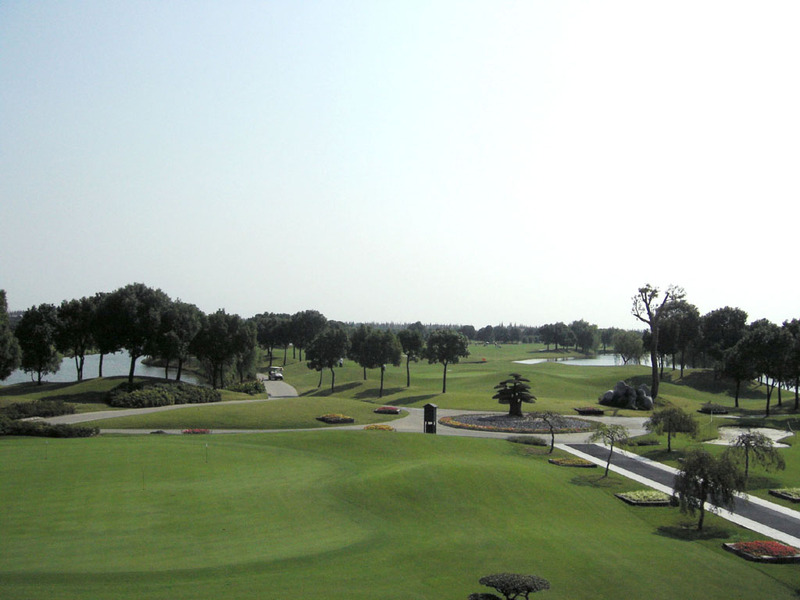 A slight dogleg to the right with trees on the left and a lake on the right. A bunker in front of the green comes into play. It is a good design but is a little short for a par 5. 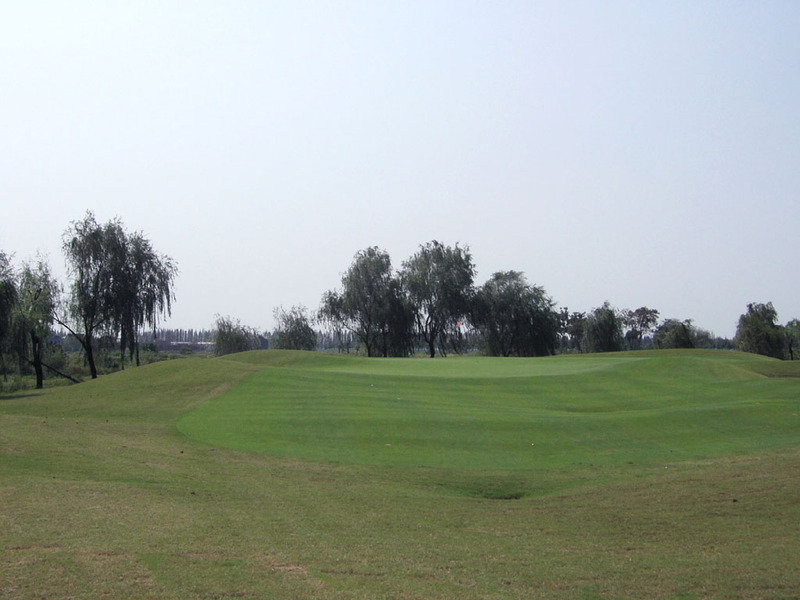 If this hole is changed into a par 4 by using the 453-yard blue tee, slightly shorter, it will become a tough par 4. A challenging hole. 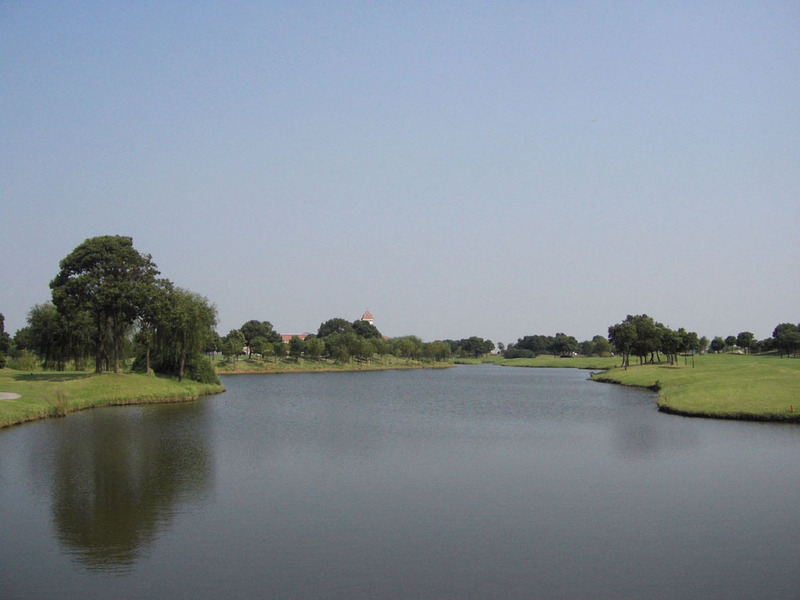 A lake surrounds the green from 3 directions except for the front side. The green and the fairway look like they are floating in the lake. 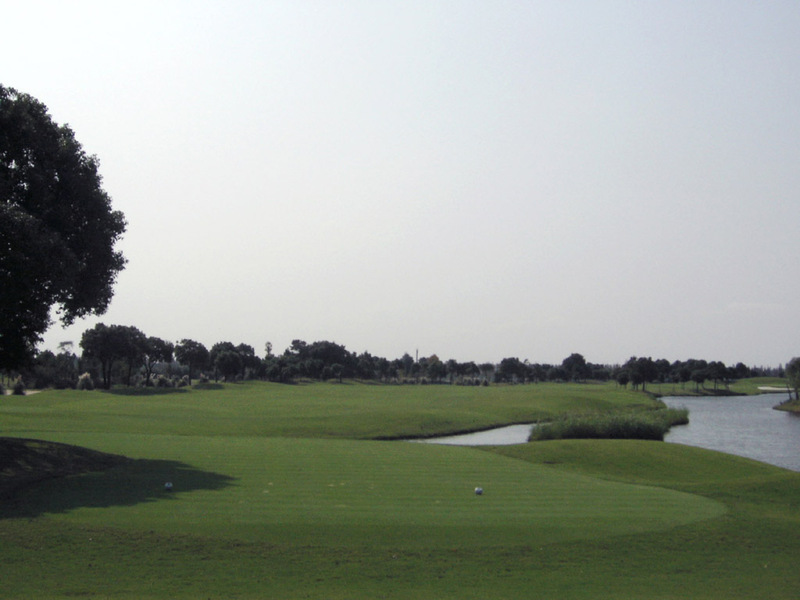 It seems that the 17th hole is more famous par 3 but I personally think that this 6th hole is superior in terms of the strategic characteristic and the better use of natural landscape. A par 5 reachable in 2. 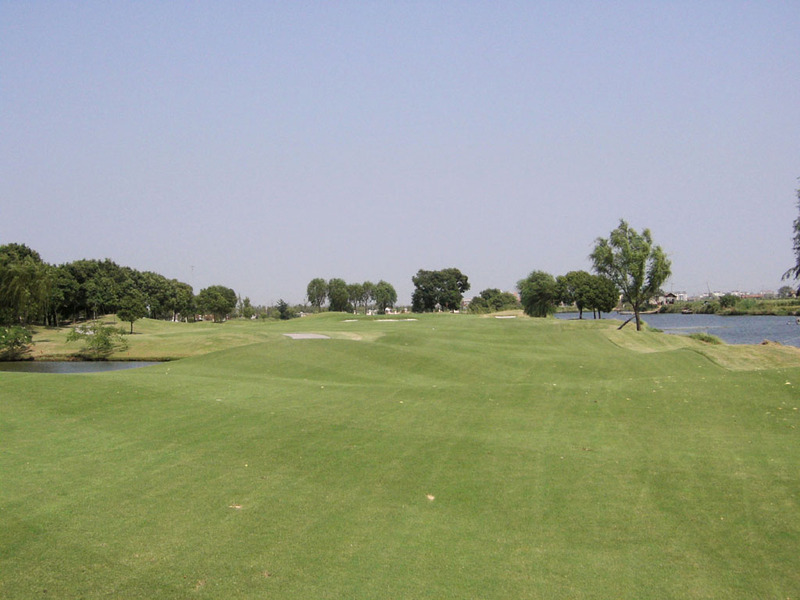 It has an excellent design with a slight dogleg to the right first and a straight hole later. The left bunkers are 235 yards off the tee. Both the tee and second shots need to be accurate because the landing zones are narrow with a lake on the right. 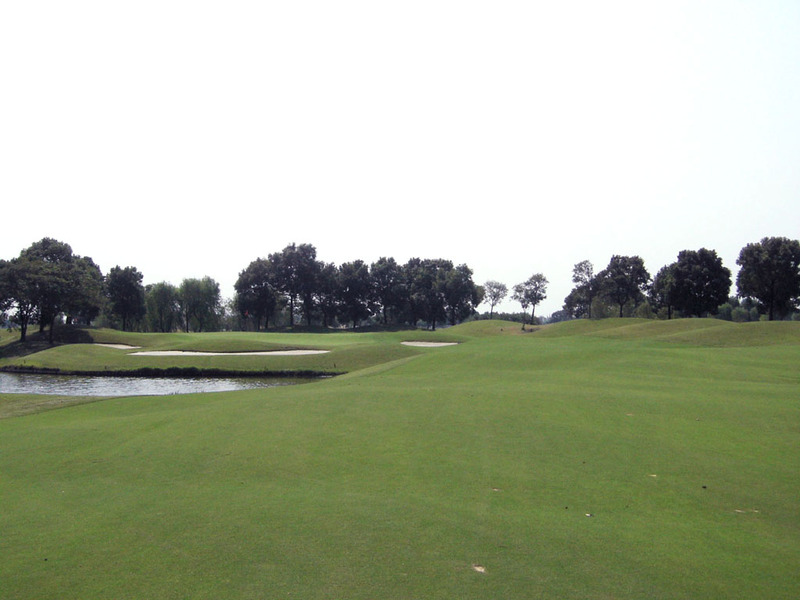 The green is wide and the bunker in front of the green is superbly placed. 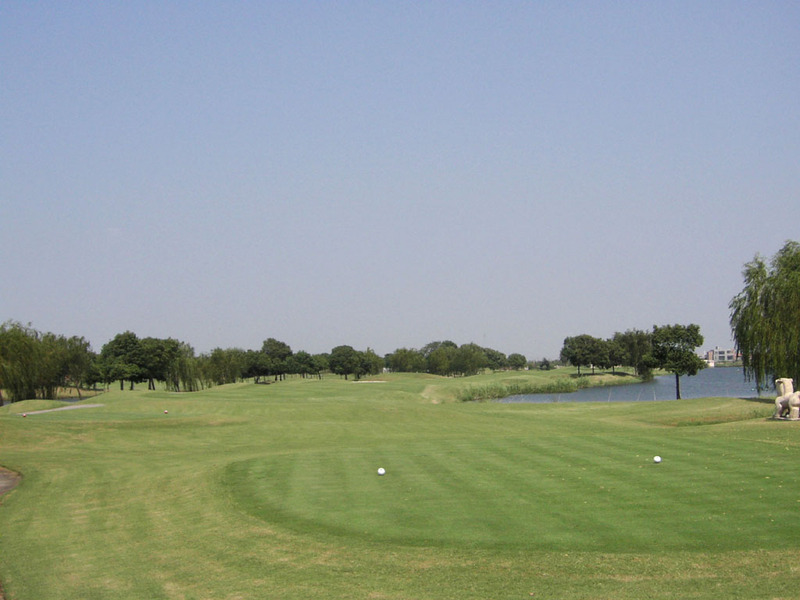 This hole tends to be favored by tail winds, so it is actually shorter than 503 yards. An almost straight hole with the green swung to the left. You feel uneasy with a lake on the left and trees on the right. Bunkers and the lake guarding the front side of the undulated green comes into play on the second shot. A sharp dogleg to the right. 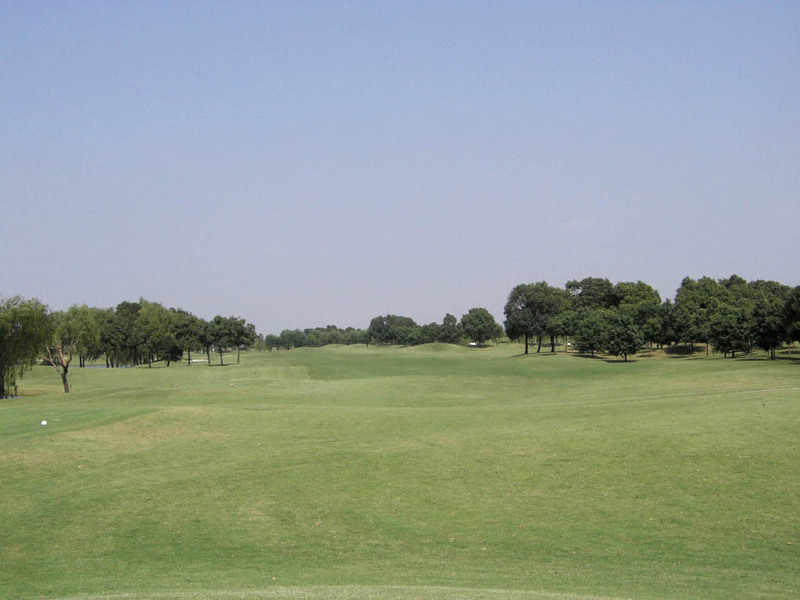 A long hitter can make a short cut by driving over the clump of trees on the right side. The trees line up on both sides when you hit the second and third shots, and then you can enjoy a taste of a forest course on this hole. A medium length par 3 with a big island green. The green is surrounded by white sand beach bunkers that are bright. The hole is artificially beautiful but not a difficult hole. An almost straight hole with the green swung to the left at the end. There is a lake on the left 100 yards off the green. 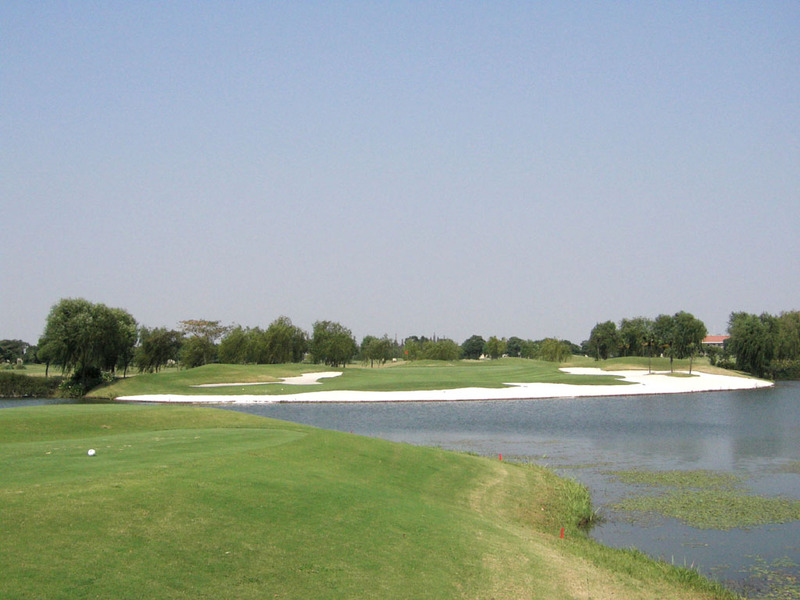 The lake becomes the blind creek and the creek crosses the fairway. You need to decide whether you want to lay up in front of the creek or go over the creek or the lake on the second shot. It takes about 50 minutes from Central Shanghai by car. Visitors need to have a member’s introductions on weekdays and to be accompanied by a member on weekends. 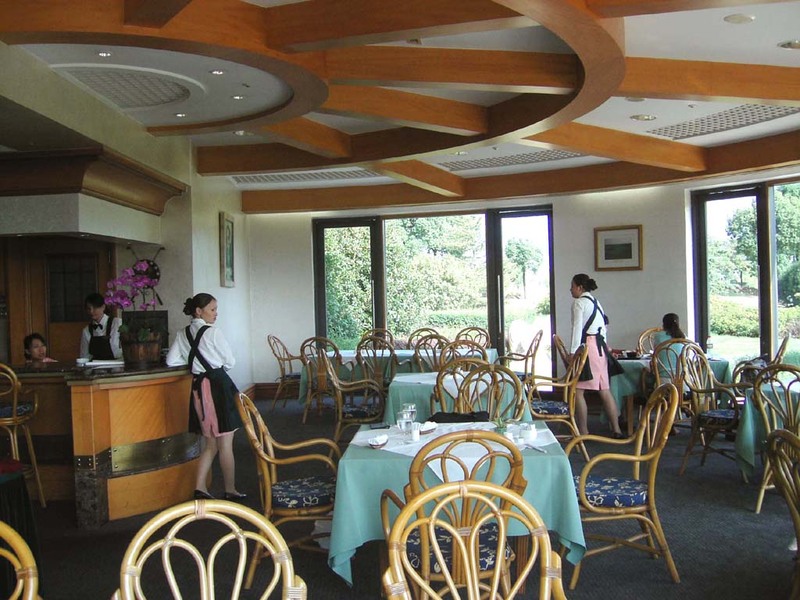 Visitors can book playing trough travel agencies. The clubhouse facility is good. There are a Jacuzzi bath and a sauna, tennis courts, indoor swimming pools, gym and business center. 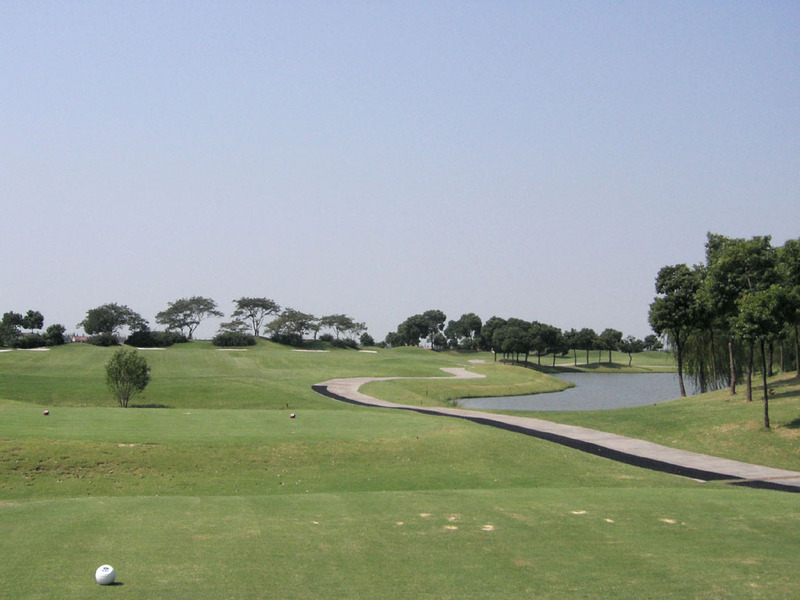 You need to show an official handicap of 9 or below to the caddie master to play from the longest tees.